The upcoming Google Pixel phone, codenamed ‘Sailfish’ has leaked once again, this time in 3D renders and a 360-degree video, both courtesy OnLeaks and Android Authority. According to the source, the phone measures 143.8 mm x 69.5 mm x 7.3 mm. 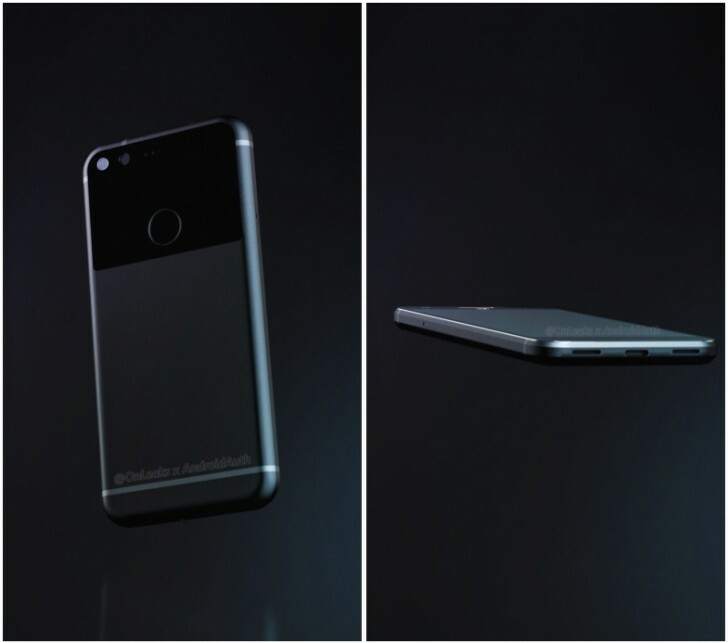 It has roughly 5.2-inch 1080p display and running on a Snapdragon 820 with 4GB of RAM. On the bottom is a USB Type-C port and grilles on either side that the source mentions are stereo speakers but we think could be a single speaker with a microphone since we don’t see the microphone opening anywhere else. A headphone jack, although not pictured, is also placed on the top. The phone is powered by a 2770mAh battery. The phone will be manufactured by HTC as we previously heard although there won’t be any HTC or Nexus branding on this one but quite possibly just a G logo.